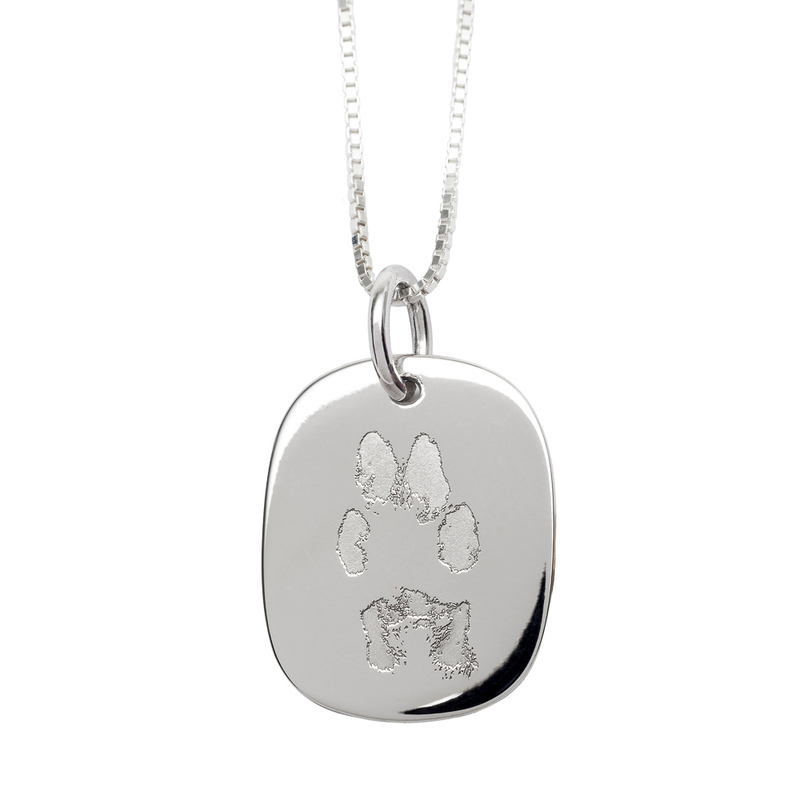 Keep your Treasured Memories® close to your heart with our gorgeous Sterling Silver Paw-Print Engraved Necklace. 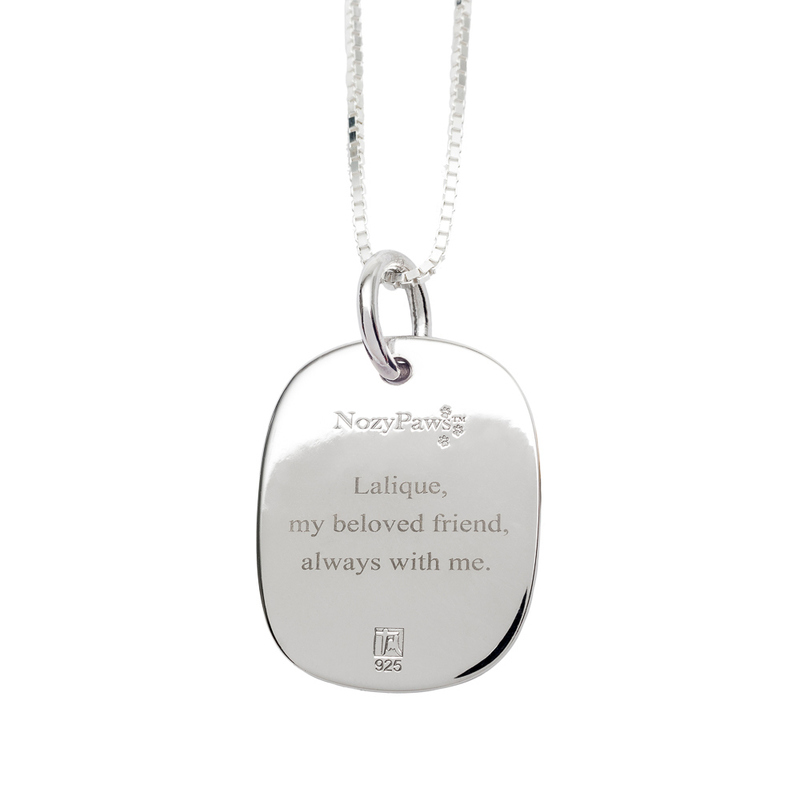 Once you order yours, we will email you with a confirmation requesting your pet's photographed paw print for our engraving experts to capture and record your pet's print and personality for years to come. As our this piece of jewelry is custom designed and hand created, please allow an additional 3 weeks processing time.